The coming weeks are the perfect time to ask for a raise or find the job of your dreams. Don't let a perfect storm of security problems go to waste. The month of January is to IT staffing pros as the weeks before the MLB draft are to scouts. In a word, crazy. This traditionally kicks off the biggest hiring wave of the year, second only to September. It’s human nature to return from the holiday break with business-related New Year’s resolutions and the positivity of a Red Sox fan on the first day of spring training. This is when optimism is at its highest. Take advantage of the wave. January is also when most budgets open up. Like a pitcher signing early to miss running into salary caps, don’t wait until the money runs dry. 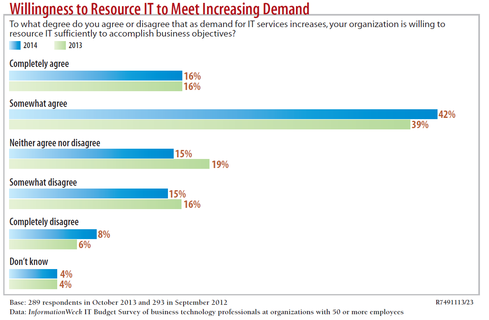 Yes, the InformationWeek 2014 IT Budget Survey shows almost 60% of respondents’ organizations will resource IT to meet demand increases. Demand for security is only going up. Still, there's no percentage in waiting. Remember the line from It’s a Wonderful Life: “Every time a bell rings, an angel gets his wings.” Well I say, “Every time there’s a data breach, a cyber-security professional gets a raise.” Now, it’s not that we’re looking to profit from misfortune. But it unfortunately often takes a “that could be us” moment to make the business recognize valuable contributors. You don’t get much more stark reminders than the ongoing Target/Neiman Marcus fiasco. As the costs continue to rack up on their way to a reported $500 million or more, corporations big and small see the brand damage that can be caused by a breach. But don’t be fooled that the awareness level will stay high. We are a forgetful and forgiving society. Carpe diem. Federal and state government hiring of cyber-security pros is going through the roof right now. The pending fiscal year 2014 budget deal rolls back some sequestration cuts, and turmoil at the NSA is ongoing. If you’ve got proven experience and a government clearance, you can almost name your price. Don’t think you have to work directly for the government. Many contractors have won awards to provide a variety of cyber-security services. I’ve talked to firms that must leave money on the table because they can’t find the talent to do the work. Strike while the budget deal is hot. If you’re on the hunt for a new gig, check out one of my previous columns for tips. If you’re not looking, trust me, some of your colleagues are. I can almost guarantee that a few of your peers and maybe supervisors will make job changes this month. It’s like a week before the trade deadline — you never know what’ll happen. That shakeup just might provide the opportunity you’ve been waiting for. Watch, listen, network internally, and pounce on openings. Just because the previous owner quit does not mean the job is a dead end or overworked and underpaid. Even if it is, why can’t you work with your company to fix the problems? HR will almost certainly be open to negotiation, given the cost and risk of hiring a new security staffer. 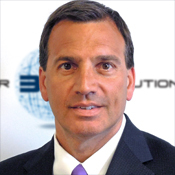 Mark Aiello is President of Cyber 360 Solutions, a cyber-security professional services and staffing firm headquartered in Boston.